Looking For Garage Door Repairs? 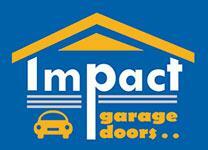 For over 25 years, Impact Garage Doors has been a reputable supplier of quality performance garage doors. They are a specialist in the installation, service and repair of roller, panel lift and tilt doors, as well as custom designer doors. We consider ourselves not just a partner to builders and homeowners, but a local asset to residents of the Wollongong, Sutherlandshire and St George areas.